If Green Bay, Wis., a town of 105,000 people, can raise $70 million to rehabilitate its football field by selling $250 stock shares, I bet $250 there’s a community in America that can raise $2 or $3 million for a broadband network. Any takers? Basically, a share has the practical value of a six-pack. But the emotional value seems to be priceless. The Packers sold 280,000 shares in about five weeks. So how does this translate into sound community broadband financing strategy? And is it viable? In Vermont, 23 town governments created ECFiber, an LLC nonprofit corporation. No tax dollars went into ECFiber. Instead, ECFiber offered tax-exempt 15-year $2,500 promissory notes that effectively earn 6 percent interest. The approximately 50,000 people in these towns raised over $900,000 in 2011 to begin an initial buildout covering 26 miles. To finish the network and bring connections to people’s doorsteps, ECFiber is doing additional fundraising rounds. In a recent effort, the town of Barnard , Vt. with 386 households generated $350,000 to continue building out the network in their town. With funds for covering two-thirds of Barnard accounted for, they expect to raise enough to complete the job. In rural Lancashire in the north west of England eight parishes united to form Broadband for the Rural North, Ltd (B4RN), a not-for-profit community co-op. Similar to Green Bay, the co-op sells stock in B4RN, though these shares earn immediate tax breaks, and potentially will pay back investors and the communities. B4RN shares are 1£ each with a 100-share minimum purchase required. Those buying 500 or more get a tax credit of 30 percent of the stock’s purchase price. Investors buying 1,500 shares get a year’s worth of broadband thrown in the deal, or 15 months if they buy before the February 29 Early Bird Special deadline. Further cementing the community bond with the project, investors buying 3,000 shares can donate 1,500 of those plus the broadband service to a neighbor. B4RN currently is over halfway to reaching its financial goal that enables the buildout to start. The value in these community-investor models is not just their ability to raise money. When the community literally owns a major technology asset such as communication infrastructure, some of the dynamics of marketing, network operations and management change. Ownership changes passive network users into true believers and mini marketing teams. A women’s soccer team I coach has a player from Green Bay who’s a true believer. During her trip there for the holidays, the intensity of their support is evident in their Facebook posts, Christmas Eve Lambeau Field drive-bys and, yes, stock purchases. Owning a community asset that improves economic development, healthcare delivery and education produces the depth of support to mirror that driving ECFiber’s and B4RN’s progress. What’s earned in the community also stays in the community. 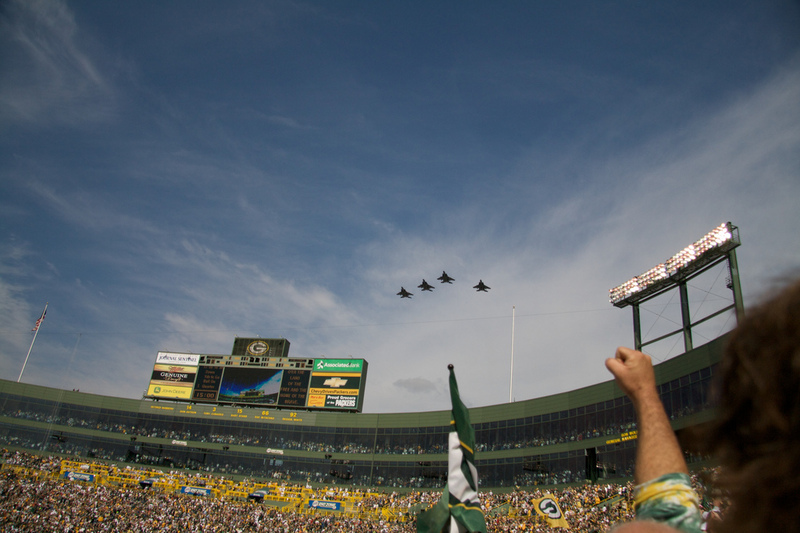 Green Bay made rules that keep the asset – the team – in the hands of the community and are careful not to lose that control to some corporate interest. Communities creating similar kinds of rules not only keep the network under local control, but also limit the possibility of it becoming a political football. Incumbents can’t muck with local elections to negatively impact the network. One frequent complaint about broadband customer support is that you can’t reach someone local to resolve your problems, and waiting days or weeks for a support technician is maddening. When the people who manage the network are next-door neighbors with owners of the network, these kinds of issues fade away. Wally Bowen, founder and Executive Director of the community-owned Mountain Area Information Network (MAIN) ISP in North Carolina, refers to this as “social capital,” the ability to literally reach out and touch the people bringing you broadband. Local involvement in critical management tasks can increase, such as budgeting, fiscal management, legal planning and rules compliance must be addressed. Sometimes communities have to look elsewhere for talent to handle these chores. However, B4RN and ECFiber rely on as much local talent as they can recruit. B4RN has farmers trenching and laying fiber, and has plans to train residents how to do service and upgrades. Those doing the work are paid in stock whenever rules and practicality permit. As the tech industry knows, employees with an ownership stake often do better work. Community networks can also impact economic development if networks re-invest profits directly into these and digital inclusion activities via community foundations. Sharon Stroh is Director of Business Development of iMAN, an enabling organization for the existing Steuben [IN] County Foundation and the main driver of their community dark fiber network. Stroh described iMAN’s direct contribution to the local economy on Gigabit Nation. After the buildout, 65 percent of subscribers’ connection fees ($225/month) will go to providing funds for economic development projects. B4RN created a charitable group that plans to use network profits to buy broadband services for low-income constituents. The road to a successful community investment program isn’t easy. But communities are finding the rewards to be sweet indeed. Images courtesy of Flickr user Paul Kehrer. It is important to consider each initiative on its own merits and circumstances. Whereas ECFiber is addressing a rural Vermont environment ill-suited to alternative technologies (plenty of wooded narrow ravine valleys e.g. ), B4RN is attempting to raise $Millions of community investment in a locality where for less than $10K superfast broadband can be made available in less than a month from the get-go, delivered by an alternative not-for-profit. Fiber/fibre is surely the logical endgame for broadband and when the time is right to move to FTTH depends on each community individually. So long as any initiative results in a quality and durable infrastructure build-out then there will be a positive legacy left for future generations even where the original investors fail to make a sustainable return. It’s interesting to note that in Emporia, KS 90% of the $5.5 million dollar raised for a local broadband network came from current and former residents to made personal investments in the network – http://t.co/OlF4B5j. Maybe they hang their shares on the wall too. But whether they do or not, they definitely reflect a willingness by hard-working people to put their money and their apples where their broadband needs are. OK, Craig…you have CONSISTENTLY proven yourself to be cluless in all aspects of life, especially tech, but now you are clueles in sports too. You are not even comparing apples to oranges here. You are comparing apples to a shoe. 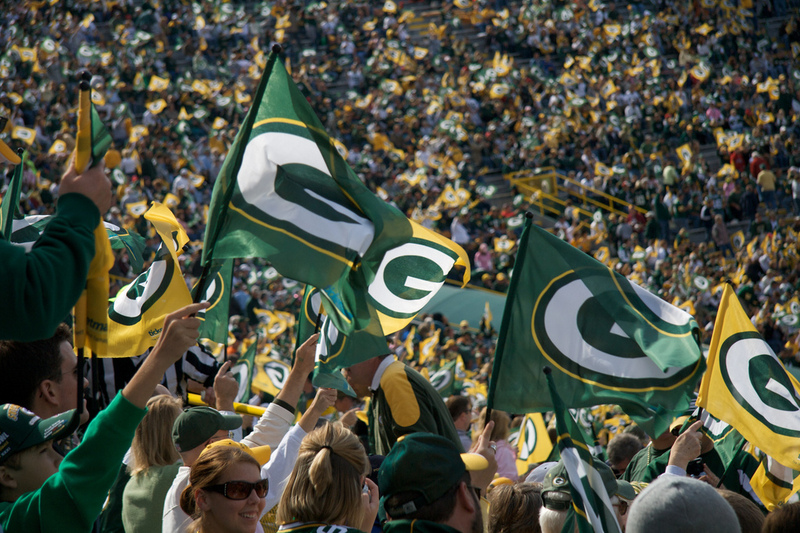 People buy the Packers stock the same way they might buy a packers flag. It is a souvenir to frame and hang on their wall. And no one is going to hang a certificate saying they invested in braodband on their wall. And I hate to tell you Craig, but most people who don’t have broadband DON’T CARE! You know why? Becuase unlike you, they don’t waste their entire worthless existence on the intenret. Though I certainly understand and agree with the point of direct community investment and management of broadband infrastructure, the hook of the fundraising by the Green Bay Packers can’t be directly applied in this case. Because of the state-wide following and national reputation of the Packers, the vast bulk of the investment in Packers’ stock sale was not done by the residents of Green Bay, but by people state-wide. If this was applied to the community investment scheme, it would involve a much larger pool of investors than is practical in the example described. True, the scale of the fundraising effort for the Packers is not the same as it would be for the much smaller goal of building a network. On the flip side, we’re talking about people who would get a lot more for their investment. In smaller and mid-size communities, I believe the desire for broadband is so strong that it can be harnessed and directed in an effective marketing effort so that in the end, you achieve the same result as you have in Green Bay. But you probably won’t generate the same revenue, nor need to.